NYC Aerial Nightmare or delight? If we knew then that this Tramway had two breakdowns in 2006, I don’t know if we would have taken this 4 minute ride over to Roosevelt Island. However, if we didn’t we would have missed out on the beautiful city views only affordable at a peek of 250ft high above NYC for the cost of only Metro or free with your metro card transfer. Besides, this was before it’s $25 million dollar renovation in 2010. Now, the 110 people capacity cars are equipped with blankets, water, food, and a toilet with a privacy curtain. Car attendants will carry cell phones with their radios. This aerial tramway was one of the first in the world and was featured in over 15 films and TV shows including opening credits of City Slickers (1991). 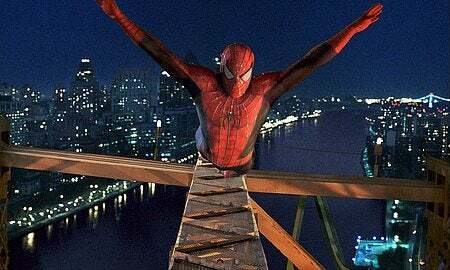 The most popular scene was “a climactic battle in the 2002 film Spider-Man, in which the Green Goblin throws Mary Jane Watson off the Queensboro Bridge, and Spider-Man must choose between saving her or passengers on the tramway. Shooting of this movie caused the Tram to be out of service for weeks. If you are planning a trip to NYC Roosevelt island has 1201 hotels in its area with ’98 5-star hotels with an average price of $194 per night’ or for a budget of under $100 you can choose from over 600 hotels. While you are there you can enjoy the escape from NYC Highrises only an eye throw across the East River while experiencing a ‘A Day Away from the City Without Leaving the City’ or take the ride across to visit some museums, parks (Central Park), shopping centers like Macy’s, Barney’s, Tiffany & Co., Time Warner Center and Macy’s. Visit them before they close down like the famous Toys ‘R’ Us Times Square. I went years ago for a ride when we visit NY but this time was a real pleasure. It is aerial delight of course. It is gorgeous to be at this height and cross the Hudson River. Delight, at least for me. Looks better in your video, I had overcast the day I visit. I love new gondolas in NYC. Will be nice to have another one next to Manhattan Bridge!? It’s a very very nice gondola ride across the East River.